Complete services to support you and your exhibiting program. When you're challenged with your company's trade show marketing program, it's great to have a competent ally in your corner. We can be your partner, from training to design to set up to storage. 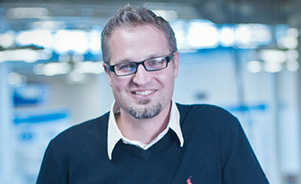 Knowledgeable, responsive Exhibiting Consultants. Your Skyline Exhibiting Consultant brings trade show expertise, access to hundreds of allies around the world, and a commitment to responding to your needs. 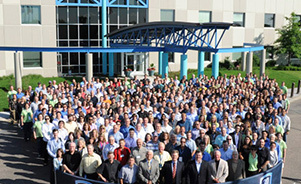 Skyline Service Centers and worldwide dealer network. Skyline has Service Centers near major venue cities and worldwide network of 138 dealers in 38 countries, so there's a Skyline design and service near you and wherever you exhibit. Your Skyline Exhibiting Consultant manages your project and, depending on the scope of your exhibit, has access to additional project managers on-site at Skyline design and production facilities. Skyline designers are trained to translate your brand into a compelling 3-dimensional environment through interesting exhibit architecture, bold graphics and clear messaging. 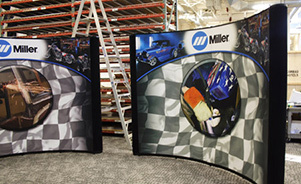 Skyline can install, dismantle, maintain, store and ship your exhibit assets so you don't have to. You can concentrate on other aspects of your show and leave the exhibit details to us. 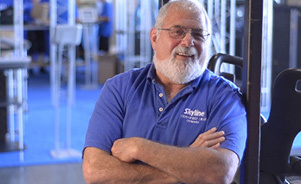 Skyline service supervisors and technicians are experts with Skyline systems. We can install your exhibit or supervise show labor to make sure your exhibit functions perfectly. A successful event takes more than a great exhibit. Skyline offers training and training tools that can boost your performance and increase your ROI. There is a lot more to creating a successful event than putting up a great display. You need an effective strategy entering your show, excellent execution at your show and proper measurement after your show. Skyline has valuable information that can enhance all aspects of your exhibiting program. We can keep your exhibit looking great. Between shows, we can inspect and clean your exhibit and recommend repairs, if necessary. Tapping into global markets can be lucrative -- and challenging. We can help. Skyline dealers can assist you with your exhibit, shipping and logistics. In addition, rental displays of all kinds are available through Skyline Service Centers, which are located near major venue destinations in the U.S., Canada, Mexico and China.